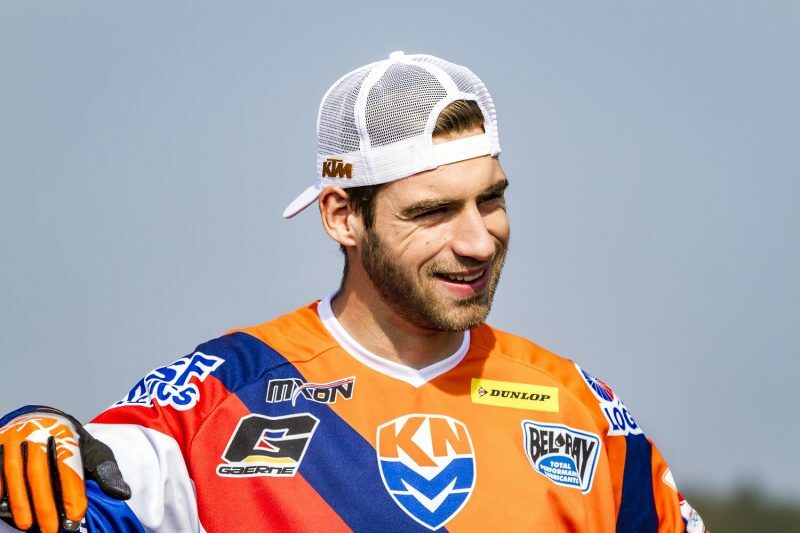 Last year they came as close as the Dutch team has ever gotten to writing history in winning the Motocross of Nations. 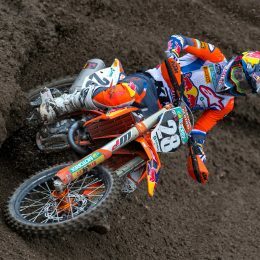 Jeffrey Herlings, Glenn Coldenhoff, and Brian Bogers missed out by just a single point on that Sunday in September. France won with the narrowest of margins, beating the Netherlands 30 to 29. 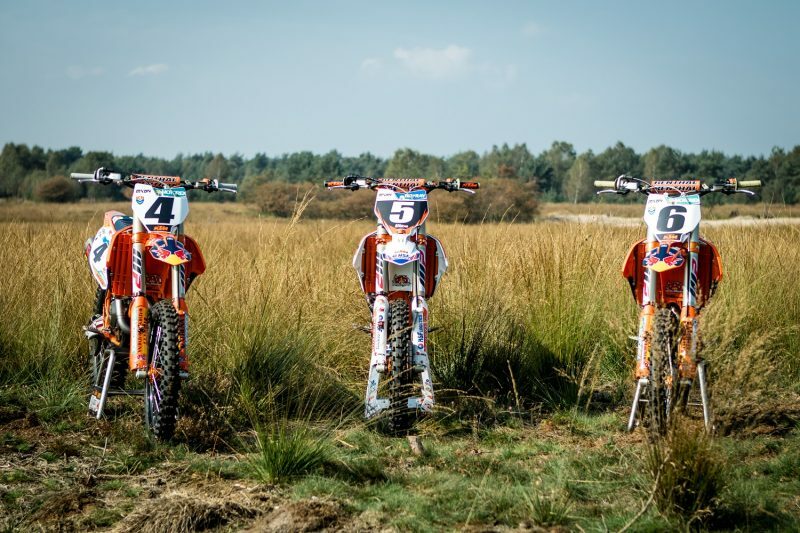 So this will be their next shot at taking home the biggest trophy in probably the most prestigious MX race of the year, on the challenging course of Matterley Basin. Obviously, the Dutch would run in orange, but these guys are just that little bit extra orange since they’re all on KTM machinery. One thing is for certain; these guys are eager beyond measure. You would expect nothing less, losing out by just one point in the previous running of the race. Close enough to taste the winners’ champagne, only to miss out by a whisker. 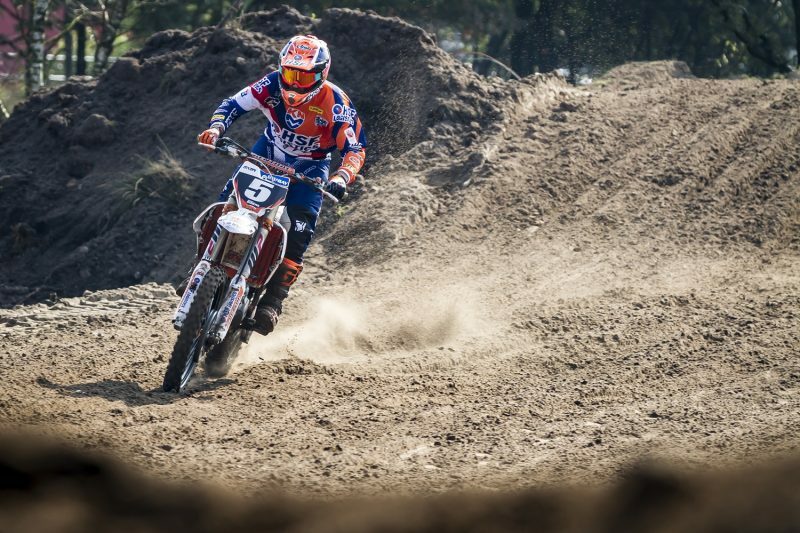 A week before the fence drops in Britain, Dutch motocross fans came to Motorsportpark Gelderland Midden to send them off. 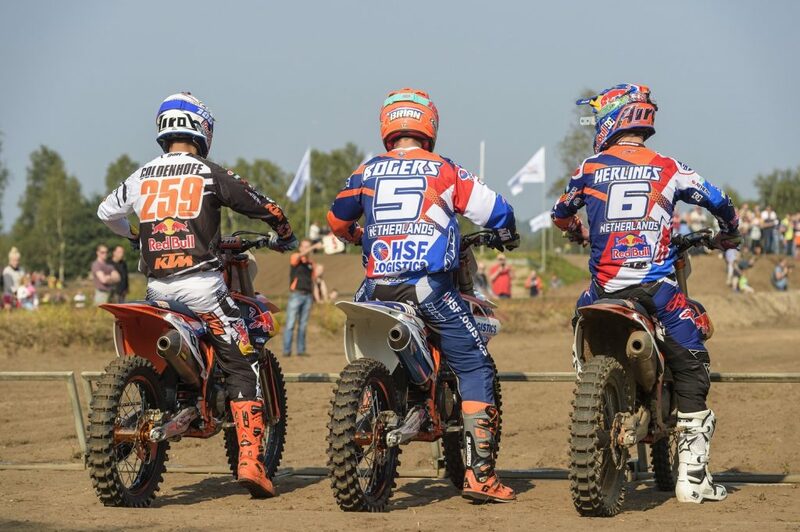 Mere minutes away from the beautiful De Hoge Veluwe national park Herlings, Coldenhoff, and Bogers came to show what they are made of. After a few demo laps round we sat them down to ask them just how they see their odds against some of the strongest national teams from all over the globe. 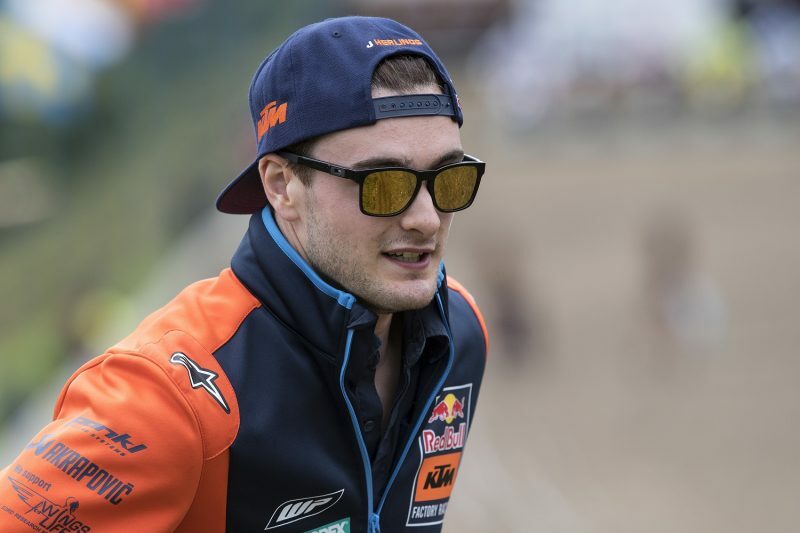 And since Herlings’ has had an astonishing first season in MXGP, we’ll ask him a couple extra questions, too. Last year lost – only just – to France, granting them their third win in a row. Do you reckon they are the team to beat once more? What do you think the Netherlands can do? 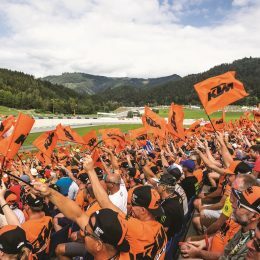 What makes Motocross of Nations so unique as an event? The Netherlands have never won the Nations. Do you think you can change that? Do you feel extra pressure, as you came in second last year? 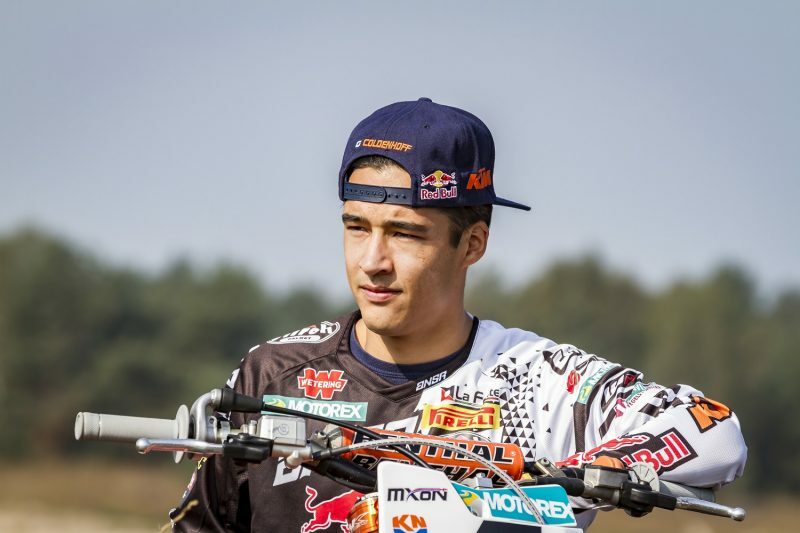 MX2 riders are expected to round off their heats in quick succession; does that require special preparation? 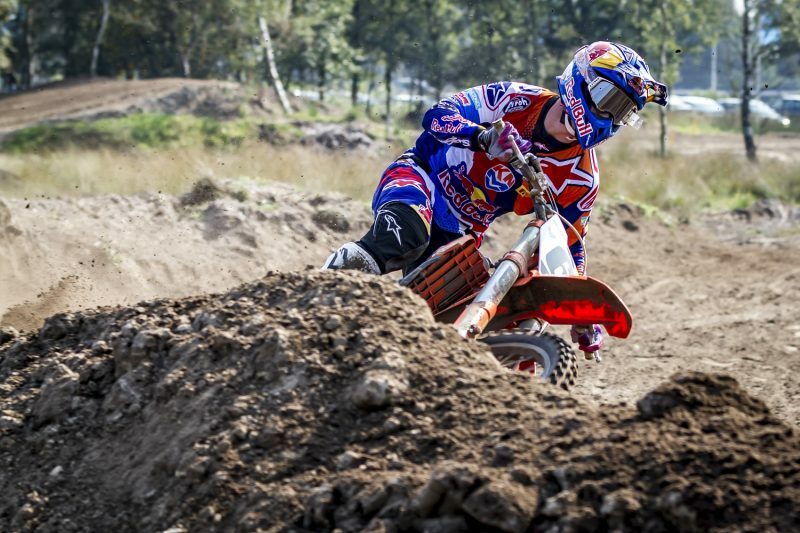 What else did you learn in last year’s MX of Nations going forward to this year? You say a podium finish would be good enough, but what if you come home in third? Wouldn’t that be a massive disappointment after last year’s second place? Firstly, your 2017 season, how do you look back at those last few months? A quick calculation, you managed to bring home 59 points in your first four GPs. The final four you took 164. That pretty much sums up your season. How do you feel going into the winter? Is it feeling bad about losing out of the title or winning six GPs? What was the defining moment of your season? Your season ends with the Nations. Is it hard to get pumped for the next race now? Last year the Dutch team got second place. Does that ever come to mind, how you almost made history? 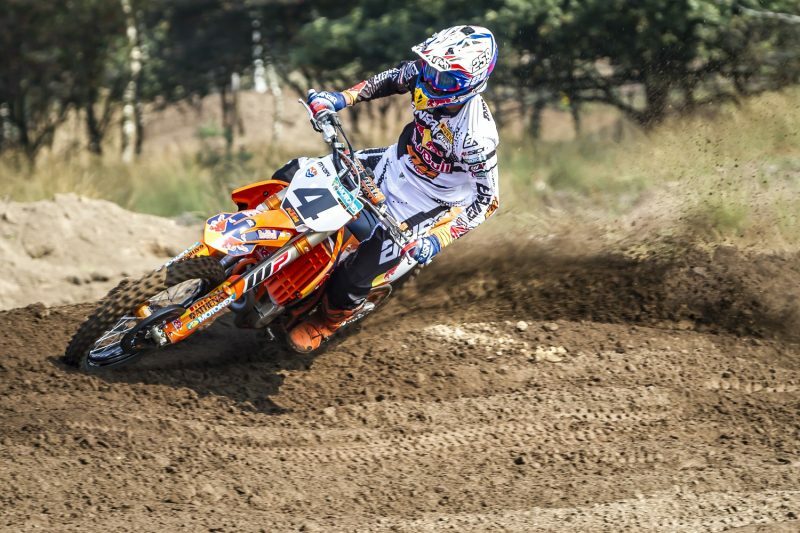 The first Motocross of Nations was on Dutch soil and Great Britain managed to win that, will we see a reverse scenario this year? 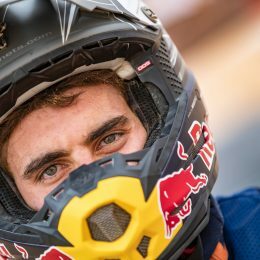 The Motocross of Nations will be streamed live on www.mxgp.com. The first race is scheduled to start on Sunday October 1. The fence will drop for the first time at 1.10 pm (MXGP and MX2).